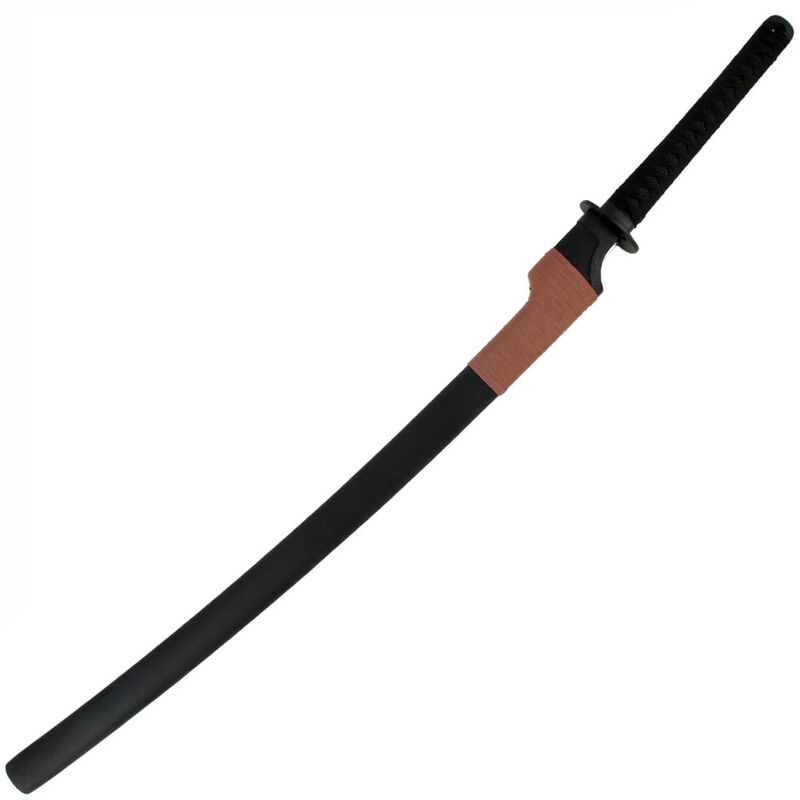 This the anime Otonashi's Katana Sword. 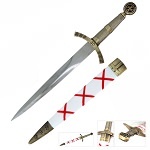 The blade of the sword has been constructed from carbon steel and is slightly sharpened. 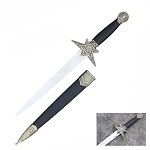 The scabbard of the sword is wooden with a black matte finish. 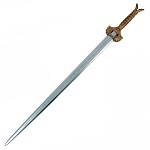 Blade: The blade of the sword has been constructed from carbon steel, comes slightly sharpened and has a blood groove in the middle. 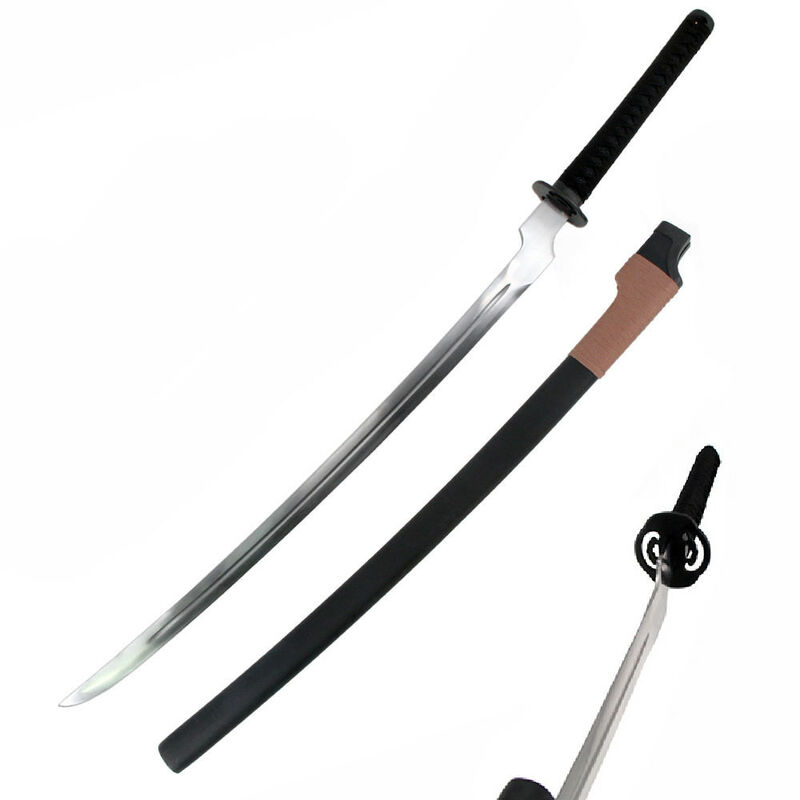 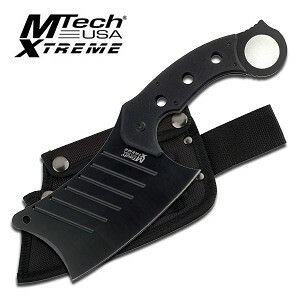 Handle: The handle of the sword is has faux black samegawa with black ito. 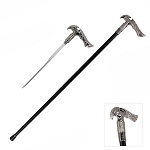 Scabbard: The scabbard of the sword is wooden with a black matte finish and has a metal throat with brown cord wrap.